The dead are a notoriously perverse and unmanageable lot. They tend not to be safely buried, and in fact resist all efforts at obliterating their traces” (Sante x). 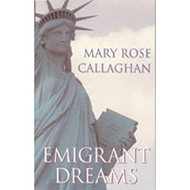 In Mary Rose Callaghan’s Emigrant Dreams, the Irish narrator, Anne O’Brien, is haunted by the ghost of her grandfather, Marcus Quilligan O’Neill, who dies over ninety years earlier. She sees him as she gets off the plane at Kennedy Airport, and he continues to pop up throughout the course of the novel. Anne’s Irish-American cousin Ogie has been badgering Anne to write the biography of their grandfather. 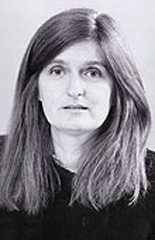 Mary Rose Callaghan (born January 23, 1944) Dublin, Ireland, is a novelist and biographer. Callaghan obtained a Bachelor of Arts in English, History, and Ethics/Politics in 1968,, followed by a Diploma in Education in 1969, both from University College, Dublin. Callaghan moved to America in 1975, where she finished her first novel, Mothers, in 1978 (published in 1982). The book is composed of monologues telling the stories of three Irishwomen from three generations, exploring marriage, adoption and pregnancy out of wedlock, and female sisterhood. • Mothers. Dublin: Arlen House, 1982. • "A House for Fools". Journal of Irish Literature 12 (September 1983): 3-67. • Confessions of a Prodigal Daughter. London and New York: Marion Boyars, 1985. • Kitty O’Shea: A Life of Katherine Parnell. London: Pandora, 1989. • The Awkward Girl. Dublin : Attic, 1990. • Has Anyone Seen Heather? Dublin: Attic, 1990. • The Last Summer. Dublin: Poolbeg, 1997. • The Visitors' Book. Ireland: Brandon, 2001.